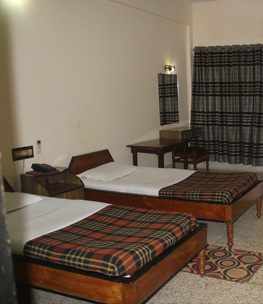 Hotel Bombay Inn is the name in the Hotel Industry more than 50 years for its ambiance, quality service, quality foods. 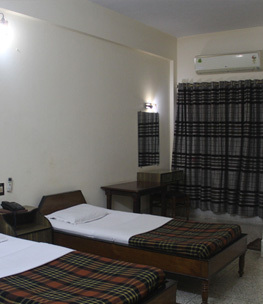 It is within the walking distance from the Cuttack Railway station, 2Kilometres from the Bus stand & 25 Kilometres from the Bhubaneswar, Airport. Shree Jagannath Temple,Puri is only 80 Kilometers (i.e. approx. 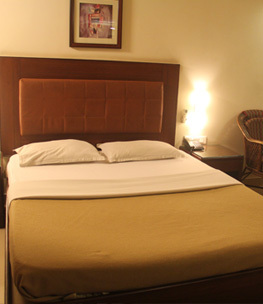 2-3 hour) distance from Hotel Bombay Inn. 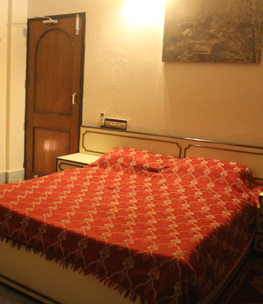 Hotel Bombay Inn is also known for its largest lawn in the City. 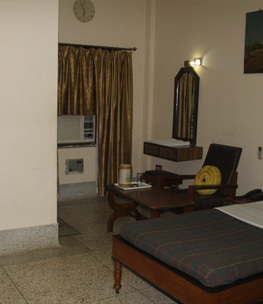 It is the only vegetarian hotel of its kind with delicious Indian/Chinese/Tandoor preparation. 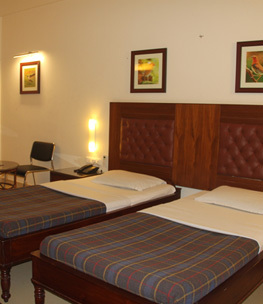 At Hotel Bombay Inn, spacious Rooms are well decorated, well maintained & well furnished with 24hour Hot & Cold water supply, Satellite TV, 24hour Room Service and many more. 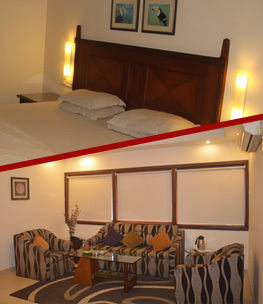 Local & STD calls are also available from the Rooms. 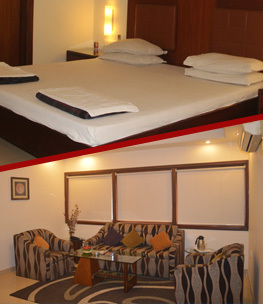 There are other facilities like Laundry, Air & Rail ticketing, Car Hire, STD/ISD direct dialing in room and many more are available. The Courier service is next to the door. 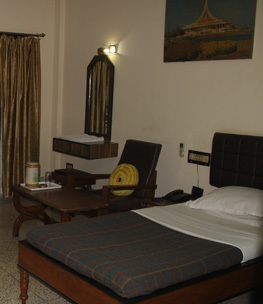 The temple of Sri Ram within the compound of the Hotel Bombay Inn is another attraction for the religious people. 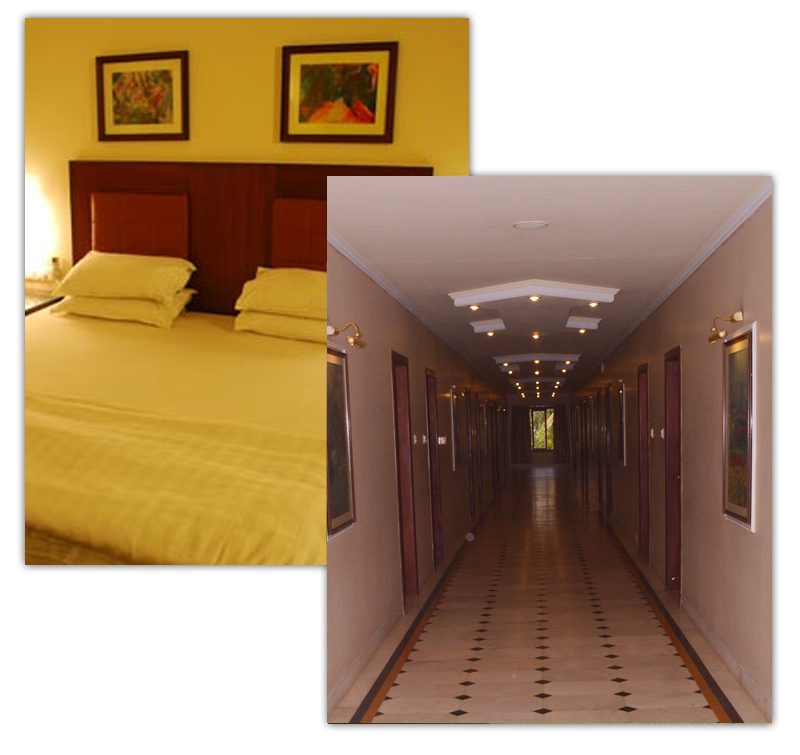 Copyright © 2017 Hotel Bombay Inn. All right reserved..